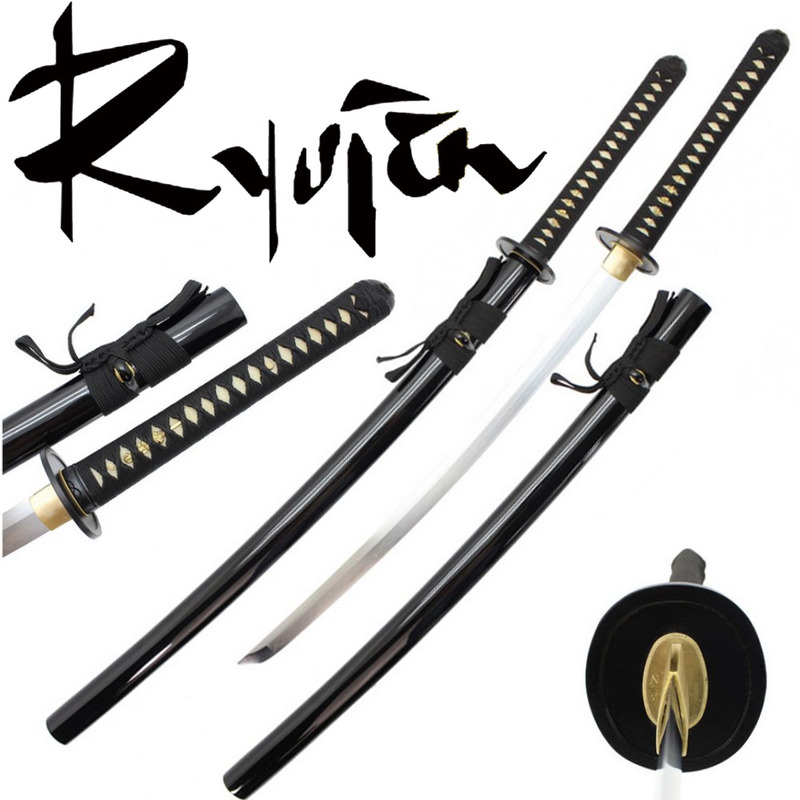 An amazing deal from Ryujin at an unheard of price - this time around it is a Bujinkan style Shinobigatana with short blade and relatively long handle that makes for a versatile historical Ninja sword. Able to be used in many different ways, choked down with one hand to get maximum reach, and then close the distance with leveraged two handed strikes and cuts that are very hard to avoid. And while the saya is not as long as some other versions of this type of Shinobigatana, there is still some extra room in the saya for hidden stuff and the long handle gives the impression that the sword is longer than it actually is when sheathed - creating the element of surprise. A tried and proven Ninja tactic..
Fittings are simple and traditional so as not to arouse suspicion or draw undue attention to the blade or its wielder, allowing the Shinobi to blend in with the crowd.